Bodicote Parish Council Clerk Val Russell has reported this to the Environment Agency. 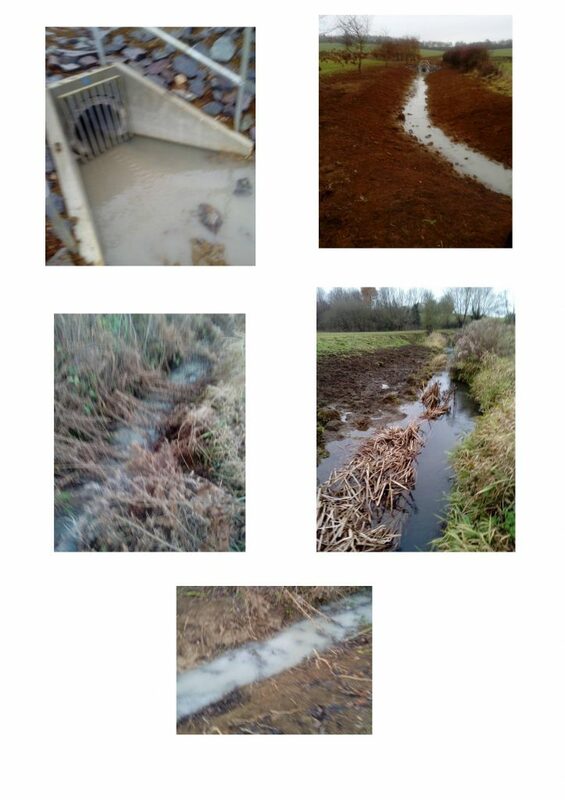 Who have asked any residents who have witnessed this pollution to call them, giving a clear account of what they have seen going into the brook and where the entry point is, in relation to the housing on the new Cotefield development site. The Environment Agency can be contacted via the the following Freephone number – 0800 807060 – please use the both of the following reference numbers if you call them – 1574709 and 1574711. If you are out and about in that area, and happen to have either a camera, or phone with a camera on your person, please also take any photographs as evidence to support what you have seen.